Use 15ml (one tbsp). Rinse for 30 seconds and spit out. Use up to 5 times a day unless otherwise instructed. 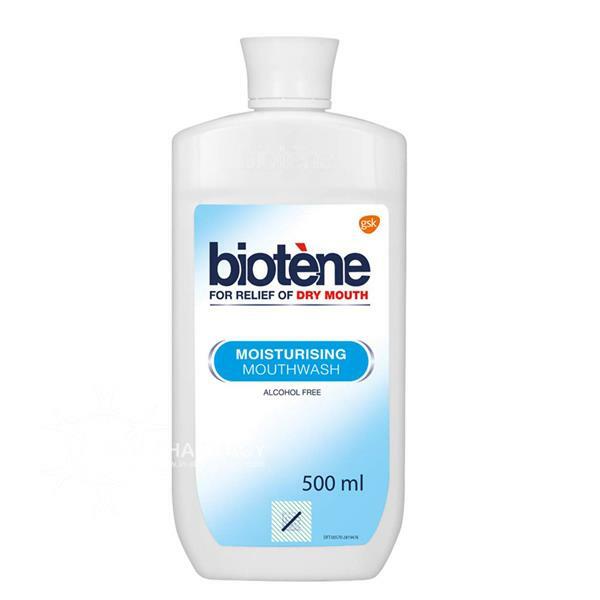 Biotene Dry Mouth Care Moisturising Mouthwashis a pleasant tasting mouthwash, specially designed for people suffering from dry mouth. It contains three enzymes, normally found in saliva, that supplement your mouths defence system. Your teeth will be protected and your mouth left feeling fresh and clean all day. This product can help those suffering dry mouth as a symptom of medication, diabetes, drug/radiation therapies, sjogrens syndrome, stress and depression.